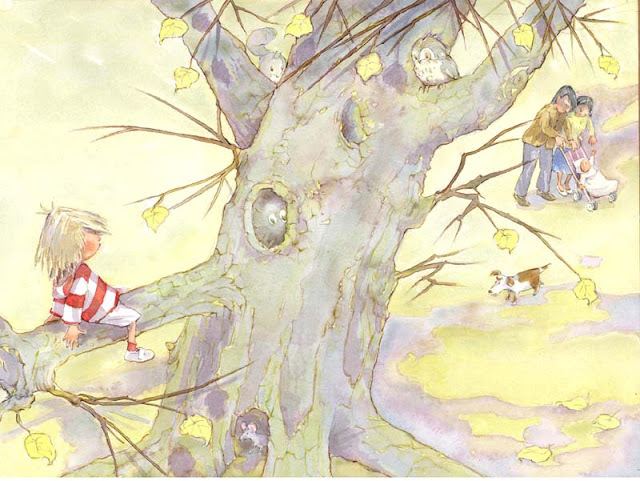 My new book, to be published in March 2011 is The Little White Sprite; a story about a boy who encounters a mysterious creature inside an old hollow tree. On one level it's all about a child entering a magical world, being persuaded to stay but in the end finding he can safely return back again to where he belongs. On another level, the sprite has echoes of nature spirits that are said to be the life force of trees. 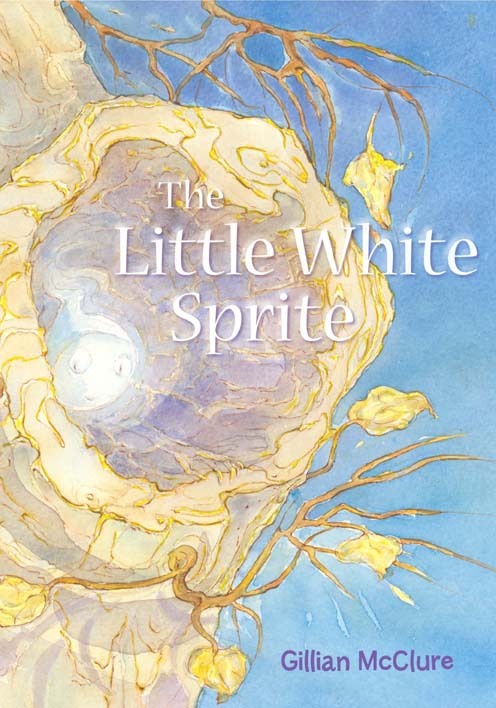 The Little White Sprite paperback edition ISBN 9780956510815 and hardback edition ISBN 9780956510839 will be available in March 2011 from Amazon and bookshops via Gardners and Bertrams. It sounds a lovely concept Gillian, and your use of soft watercolours is beautiful. I'll certainly look out for it in the Spring. Yes, love that page spread too Gillian. Those colours allow your eye to rest in the picture. How long was it in the making. ie. from initial concept to accepted book? Thank you both. This book was a long time in the making. I left it to one side for several years before revisiting it and then saw a way of proceeding with it. It hasn't been a very easy book to illustrate. Gillian, your work always has a tender intimacy to it and this seems no exception. Can't wait to see it! Gillian, having seen this work evolve from your sketches, changes and now colour, it is amazing. The colour palette truly reflects the beautiful linework of the trees and the relationship between the child, nature and family. I can't wait to see it in print!